Last Christmas, Ma and I went to a gin speed tasting. Which was fun and as a result of that Ma, Christelle and I are going to Junipalooza in June. There are lots of gin in the world and I don’t see the people I like enough (except Ma, who I love to see but probably would like more of an opportunity to miss me except she is the weeding monkey and only gets paid in dinner at my house – sorry Ma), I decided to put the two together and invented Gin Club. The idea, like me, is very simple. We buy a bottle of gin and we taste it. If the gin has a suggested serve or cocktail we try to do that too. I’ll provide food to soak up the alcohol and a night of shennanigans is born. Last Friday was the second gin club. Attending were me, Ma and Sarah. The gin was Jawbox. All mixers were Fever Tree. 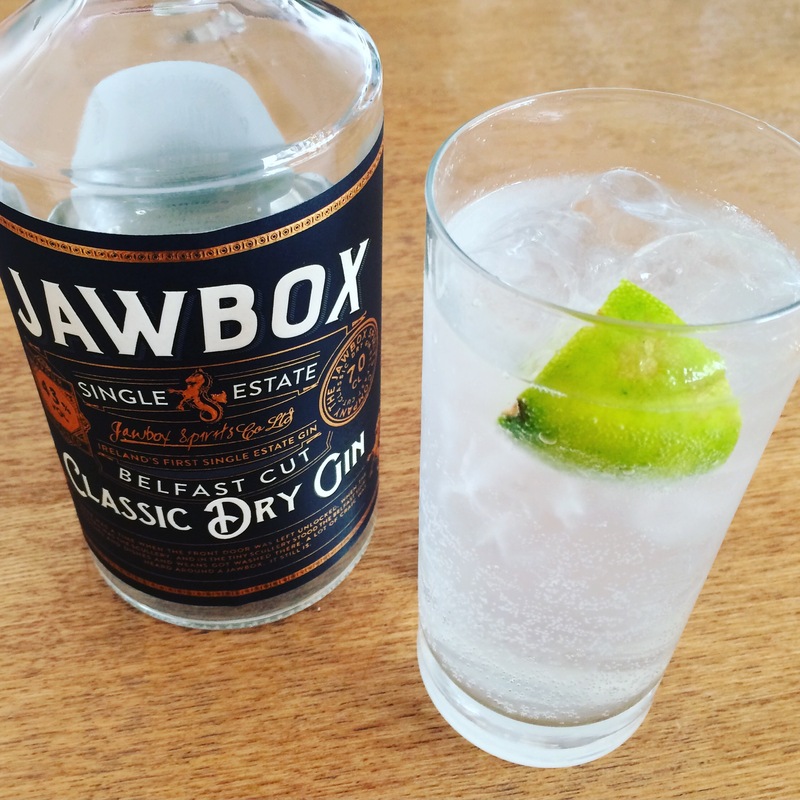 Jawbox is a Northern Irish gin, that claims to be the first single estate gin, I guess they are talking about the grain for the spirit and not the botanicals because I can’t see that they would all grow in Ireland!). It comes in at 43% ABV and the botanicals are Juniper Berries, Coriander Seed, Cassia Quills, Angelica Root, Black Mountain Heather, Lemon Peel, Cardamon, Liqourice Root, Grains of Paradise, Orris Root and Cubebs. I bought ours from Marks & Spencers and it was on offer with £3 of it’s usual price of £30 for 70cl. Neat and cut with water. We really liked it neat. The gin was smooth and junipery with a hint of something citrus. (None of us are super tasters, so this isn’t going to be overly descriptive!). Cut with water, we got more of the botanicals at the end. This is a gin you could to quote Sarah “chuck a couple of ice cubes in and sip”. Gin and Tonic, lime garnish (50ml gin, tonic, lime). This was a hit. It made a lovely G&T, the smoothness of the gin still present but with a proper ‘ginny’ hit. I prefer a juniper hit in my gins and this gave me that but it worked for Sarah who isn’t so keen on those types of gins. This was lovely. I’d like to try it with different garnishes to see what they could bring out of this gin. Definitely a drink for a summer’s day. 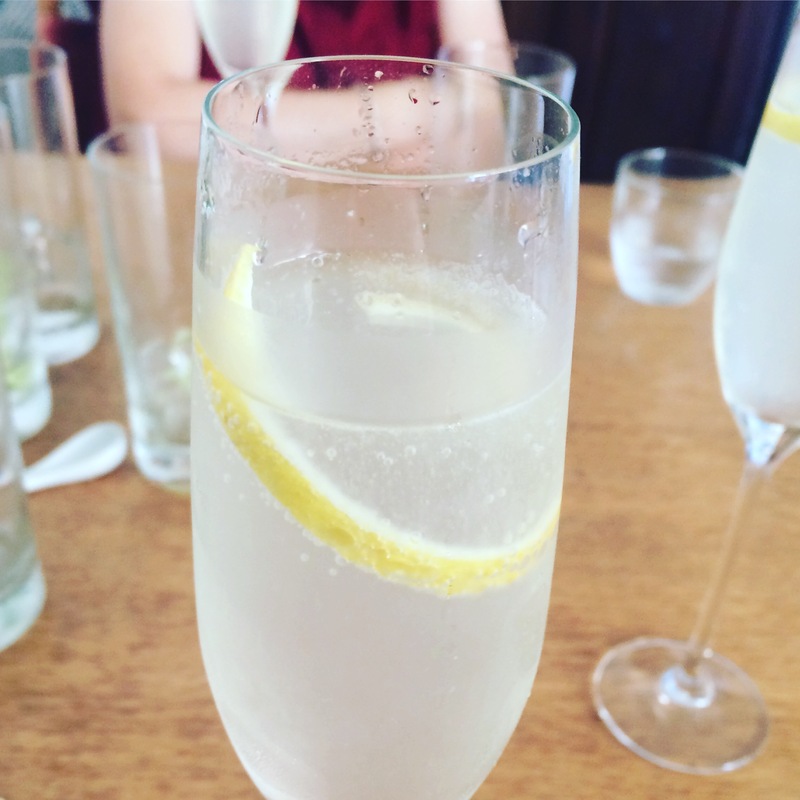 French 75 (45ml Dry Gin, 10ml lemon juice, 5ml sugar syrup, top up with fizz). This drink is traditionally made with champagne but we didn’t have any, what we had was a bottle of prosecco, so we used that and renamed the drink, The Italian Retreat. I was worried that this would be too sweet and initially it was, given a little time to settle it worked fine. We (Ma) was so impressed, I was instructed to make another round. I’ve still got some gin left, so I will at some point make a martini and update these notes. Overall, we wouldn’t have any issue recommending or serving it to friends, which is always a good thing! 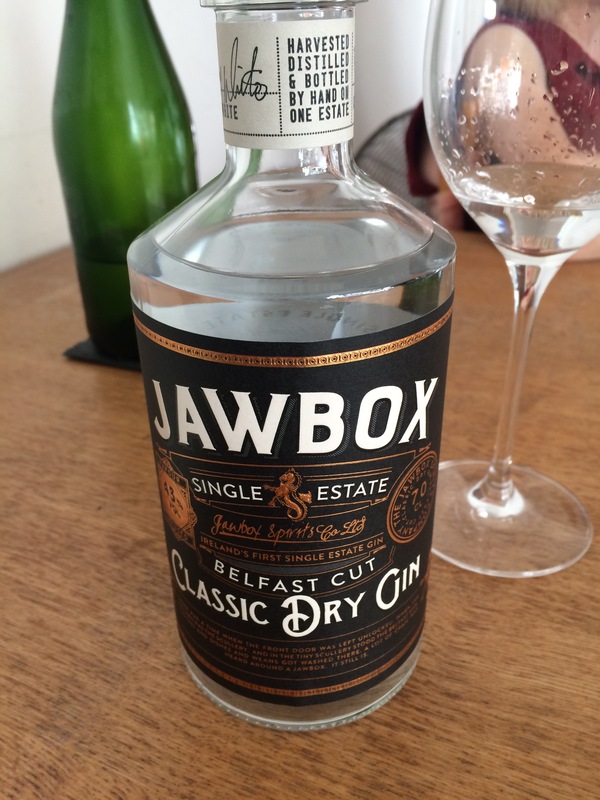 This entry was posted in Booze, Family, Friends, How I Live and tagged French 75, gin, gin and tonic, gin club, gin tasting, jawbox gin, tasting. Bookmark the permalink.